This is a group of severe brain disorders in which people interpret reality abnormally. Schizophrenia may result in a combination of delusions, hallucinations and disordered behaviour and thinking. This is a chronic condition which requires lifelong treatment. 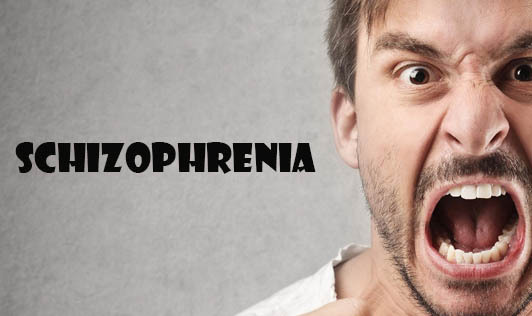 The symptoms of this condition can also be attributed to other mental illnesses and no one single symptom can pinpoint a diagnosis of schizophrenia. Schizophrenia symptoms in men begin in the 20s, whereas in women, the symptoms typically begin in the late 20s or early 30s. The signs and symptoms of Schizophrenia are divided into three categories - positive, negative and cognitive. Negative symptoms refer to a diminishment or absence of characteristics of normal function which may appear with or without positive symptoms. Cognitive symptoms involve problems with thought processes. Individuals with schizophrenia often lack awareness that their difficulties stem from a mental illness that requires medical attention and hence, the responsibility falls to family or friends to get them help!